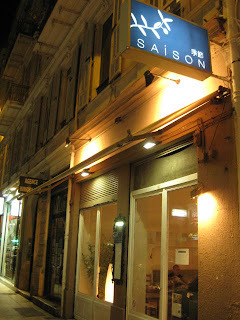 After the super-busy day of so many meetings, we took a taxi all the way to Nice (about 35-45 minutes drive from Cannes) to dine at Restaurant Saison, which is Keisuke Matsushima's new "Japanese-Mediterranean" restaurant opened just 2 months ago. 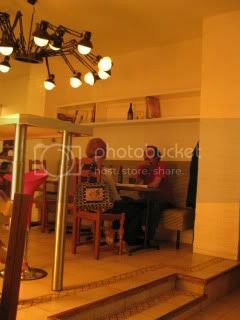 We originally found out about his opening a new Japanese restaurant, when we dined at Keisuke Matsushima, last April. 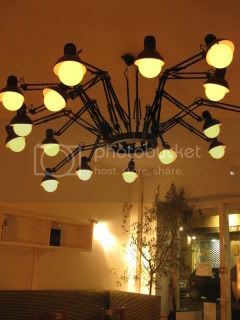 Keisuke told us about it and he said it was going to be a Japanese restaurant with Mediterranean twist. So, we were very curious. 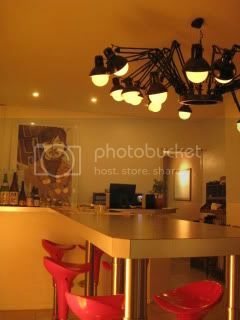 It's a cute small restaurant with the modern interior. Their menu has typical Japanese diner dishes, such as tamago-yaki (omelet), Buta no Shoga-yaki (ginger pork), tempura, soba, udon, and donburi (rice balls), etc. which are made with local ingredients. We started the evening with Sake. 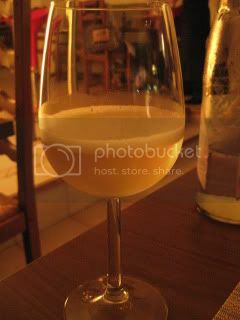 We had Junmai-Ginjo from Aichi (I forgot the name of the producer). I was actually most impressed by the wine list! The list has a very good selection of Champagne and Bourgogne, for unbelievably reasonable prices (almost like French retail price)! Domaine Leroy, Leflaive, Dugat, Comtes Armand, Dujac, etc. etc. And, they even had a lineup of Jacques Selosse! 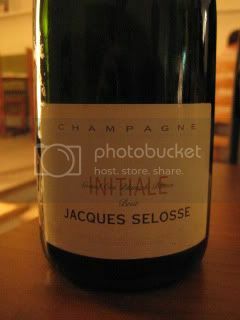 So, we ordered Jacques Selosse, Champagne, Brut Initial (Blanc de Blancs). I couldn't believe my eyes...it was only 86 Euros. So, it's basically the same price as the retail. This wine's degorgement date was January 18, 2008. So, it's given over 1.5 years of time after that and it's still in its "young" stage. The color was beautiful light golden. The mouse was lively and fine. It took 5-10 minutes for the wine to open up in the glass. It's a refined and complex wine with tons of minerality, spice, herb, citrus, and distinctive acid. Beautiful! For the dinner, we all did their "Menu" (Dinner Course). 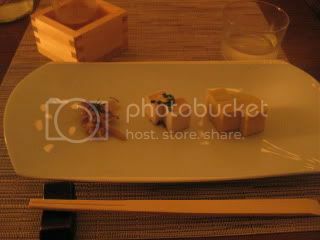 Amuse-Buche was Mushrooms, Tofu, and Tamago-yaki (omelet). 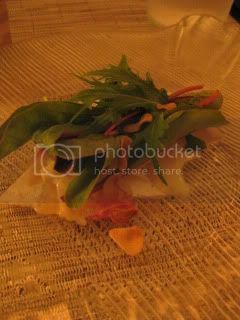 Carpaccio of local snapper. Very nice. 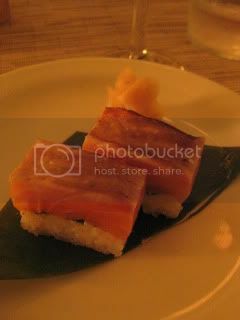 Salmon "Oshi-sushi" (pressed sushi), and "Japanese-style" Seafood soup. 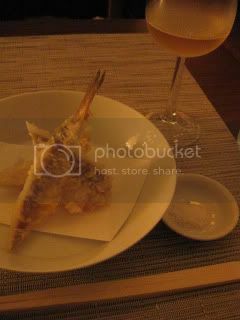 Kisu Tempura was so nicely cooked with the thin crisp crust and the very fresh taste fish. 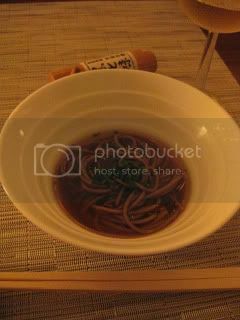 It was followed by Soba. 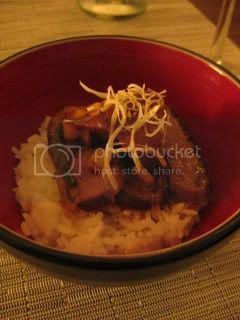 Foie Gras and Duck Donburi (rice bowl). Both the seared foie gras and the duck were tasty. 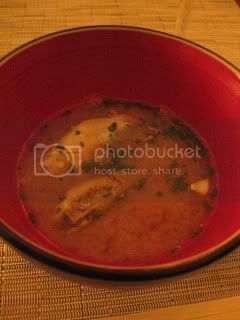 I only wished that they cooked the rice with my donabe rice cooker! 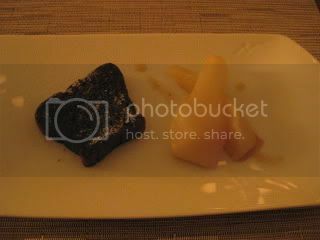 My dessert was Warm Chocolate Cake and Poached Pear. 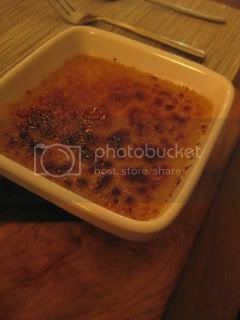 My colleague had the Marron (chestnuts) Creme Brulee. Our waiter (there was only one waiter at the restaurant) was very sweet and professional. He was a young Japanese guy and fluent in French and English also. We all had a nice time tonight. It's always great and also encouraging to find other Japanese people trying to bring something good in different cultures and become successful!